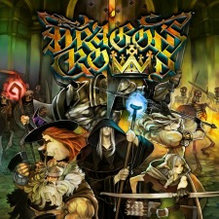 Dragon’s Crown the first of many NIS America Delistings in Europe? Sega of America and Atlus USA announced today a new partnership with Deep Silver who will publish “the wide array of future titles for both physical and digital” in European and PAL territories. The wording is very future-forward however and PR copy goes out of its way to say “the past is the past”. The fate of Dragon’s Crown and other NISA releases in Europe remains uncertain but details of this alliance are still being divulged. The original post follows. NIS America’s European releases have been on the chopping block since this past April and it looks like the axe has fallen first on Dragon’s Crown. The game was recently included in Sony Europe’s “Big in Japan” sale but reddit users soon discovered that the link to buy the game turned up an error. Word from NIS America’s European Twitter account initially stated that “our license expired for Dragon’s Crown and we were forced to remove it from the PSN store” but the tweet has since been removed and replaced. “We sincerely apologize for the previous misinformation about Dragon’s Crown on EU PSN. We have more information forthcoming,” reads NIS America’s current statement. Direct replies to frustrated gamers urge them to contact Atlus. Some hours later, an Atlus rep told Eurogamer that they were looking at ways to get Dragon’s Crown reinstated but have no timetable to announce. While NISA has long been the distributor of Atlus’s titles in Europe, the company was cut out of the loop when Sega acquired Atlus this Spring. Sega has since taken over distribution of Atlus titles in North America but neither company has announced any kind of support for other Western territories. Dragon’s Crown may return to the PlayStation Store soon but now may be an opportune time to snap up some of NISA’s other European titles just in case they’re next to get the axe. Fortunately there’s a sale on and it includes practically all of NISA’s titles like Akiba’s Trip, Arcana Heart 3, Tokyo Twilight Ghost Hunters and Hyperdimension Neptunia. I’m definitely keeping an eye on these releases once the “Big in Japan” sale is over on July 13th. A lot of games have disappeared shortly after being put on sale and Dragon’s Crown may have been an early tip-off that more delistings are coming.